Happy Easter to all. Holbein watercolor on a Strathmore watercolor card. 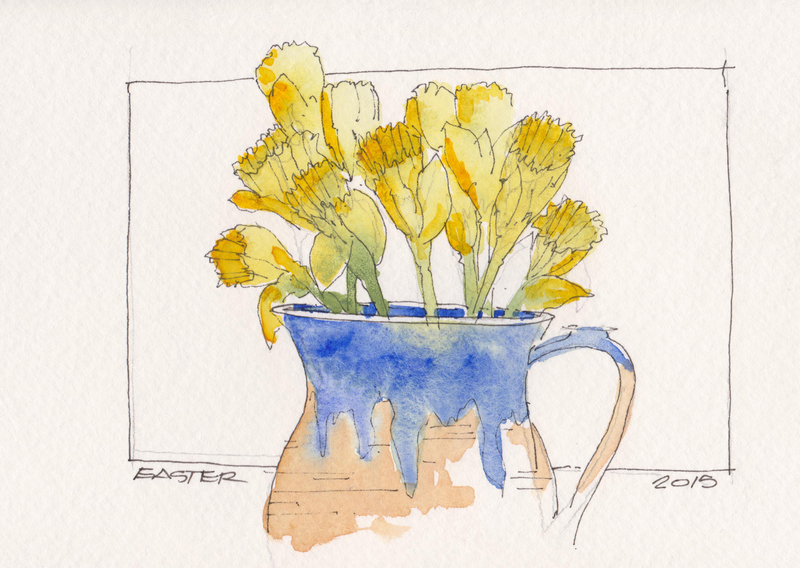 A painted Easter Card for dear friends of beautiful Jonquils. The flowers were given to us yesterday by Helen Addison of the Addison Gallery in Orleans, MA. Happy Easter everyone. Daniel Smith Watercolors on a blank Strathmore greeting card.